Bible claims do not equal reality. I’ll address the evidence that Ben has claimed for the existence of his God. 1. Arguments of natural theology – the existence of the universe, the beginning of the universe, the intuitive reality of moral facts, the human phenomenon of consciousness, the existed of human reason, the apparent fine-tuning of the universe for the possible existence of intelligent life, etc… Philospher Alvin Plantinga mentions two dozen such articles in lecture notes to be found here. Yep, expected this one. It’s the “look around, *my* god did this” nonsense along with the baseless claim of “intuitive reality of moral facts” aka we somehow know what is moral magically. The first problem is that this argument can apply to *any* god and well, we know that Christians aren’t talkinb about Huitzilopochtli. It’s circular and it has the usual problem that it could be any god. 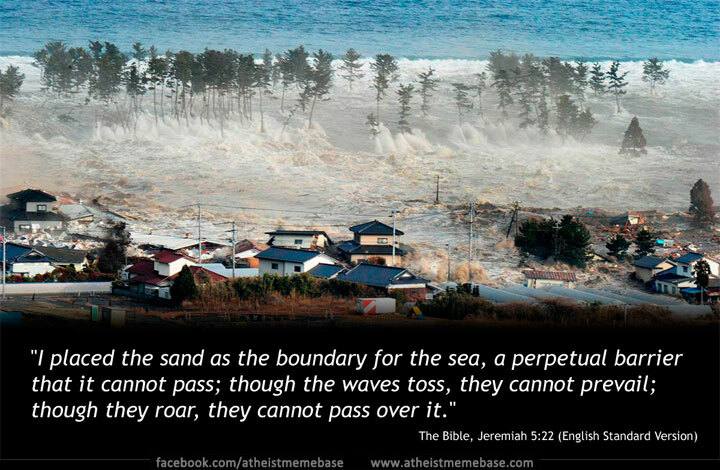 Christians, and any theist, just claim it’s theirs so they can feel all important. Poor Christians could be simply wrong and have the wrong god. Ben cites Plantinga, one of those “Sophisticated Theologianstm” whose arguments still fail. Professionals don’t fare any better than amateurs, they just get amateurs to believe them because they agree with the amateurs. Platinga is notorious for the idea of “Reformed Epistemology” when all it is can be summed up as “God is real because we say it is.” and “just look around and isn’t it obvious that there is a god?” It’s the same argument that a three year old uses for their imaginary friend and just as “impressive”. There is no reason I should trust Ben or Plantinga or the three year old. One can blindly believe that the child’s imaginary friend exists and one can also blindly believe that gods exist. But again, where’s the evidence? Assuming Ben doesn’t believe in Zeus or Odin, the question is *why* he doesn’t believe in them. Ben, why are you an atheist to some gods but not others? Should not the same standards apply? If they don’t, then it just becomes special pleading. 2. Personified evidence – Philosopher Paul Moser actually argues against natural theology, suggesting a better way to evidence for God. On Moser’s view, a God worthy of worship will actively hide himself. To deny that God is hidden to some extent would be a big mistake. He can be found, however, at times and places of his choosing. Moser defends his religious epistemology against the predictable objections. I find his view quite sensible and realistic. Of course, the skeptic likely will not. That’s ok. So, we have two contradictory ideas that are both supposed to be true for the Christian, Moser (god is hiding) and Plantinga (you can see god everywhere). I do appreciate the hide and seek god that Christians have had to invent to excuse their god and its inactivity. Yep, we have Moser and Ben deciding that now their god plays hide and seek and have entirely ignored the bible because those bits of their god constantly being involved with humanity, using miracles as evidence it exists, are just awfully inconvenient in a world where recording devices exist. Suddenly, a god that heals people left and right, kills them with magical plagues, etc now hides under a rock. God sure has becomes less than a omnipotent/omniscient/omnibenevolent entity. I can guess that Ben may then argue that “my god can’t show itself since that would remove free will since we would have no choice to believe in it”. Which again that pesky bible shows is ridiculous if one actually thinks the bible has any truth to it whatsoever. Someone should tell Moser that Pascal’s wager fails too. 3. Counter evidence – There is also natural atheology to consider. The problem of evil, divine hiddenness, pluralism, origin of religions theories. At face value these seem to be a big threat. But on closer inspection, I find that the threat tends to dissolve or even reverse direction to support supernaturalism. “natural atheology”? This seems to be a phrase made up by Christian apologists and philosophers. And you know, I have no real idea what this is supposed to mean. It appears to mean that atheists can’t demonstrate that gods are imaginary. Well, that actually can be a valid point if one makes a god so vague that it has no attribute that can be addressed. Ben’s Christian god isn’t like that. The Christian god has very certain qualities and those qualities can be used to show that this god does not exist as described. If the bible is to be considered truthful and accurate, then there are problems, including all of those that Ben wish to claim aren’t “big threats”. It’s rather like watching a Christian stick their fingers in their ears and run around screaming like a child who doesn’t want to listen. But since Ben claims that he is sure that these “threats” tend to dissolve and/or support supernaturalism, I ask that he show how this occurs. 4. Personal testimony – I’ve personally experienced the supernatural. I don’t expect anyone to take my word for it but it is evident to me nonetheless. I always cringe at this one. Personal testimony! Which means that every religion that has people saying that they believe in in and have experienced a god is just as valid as Ben’s Christianity and those gods are just as real as the Christian God. Tsk. I guess all of that “Thou shalt have no other gods before me” really is meaningless. Ben claims that he has experienced the supernatural. I ask him to tell me how. I’d also like to know why him and not, say, a Christian veteran who has had his legs blown off by an IED. Ben, tell me why I should believe your claims and not the claims of, say, a Hindu person who is sure that his goddess drinks milk as a statue. Audience, if you’d like to take a stab at things, please do. I tip my hat at you, Club. I find it is interesting that apologists like to talk about divine hiddenness when it is convenient and at the same time claim that the universe is evidence for god. What I think goes on here is that theists generally and their apologists specifically treat their arguments separately not as a unity so that in the end they fail to note there are contradictions left right and centre! Indeed. I would like Ben to explain how he can invoke Plantinga and Moser when they contradict each other about hiddeness and creation being “evidence”. I feel like there’s a good question here. How can I agree with both Plantinga and Moser? To answer that, I’ll briefly explain the different avenues to knowledge. Moser and Plantinga simply regard one avenue as more fruitful than another. First, one must distinguish between evidential and non-evidential knowledge. Evidential knowledge is knowledge based on the evidence. Evidence may be strong, weak, or opposing. It may also be public or private. Natural theology is public evidence for God. Some say it is strong, some say it is weak, some say it runs the other way (natural atheology). That is an important, albeit complicated, debate. Moser things that there is also private evidence for God. God reveals himself personally to individuals at times and places of his choosing. Moser thinks that this private evidence is much stronger than the public evidence. Indeed, how many Christians believe because of natural theology? Not many. So I think that if God exists, Moser is on the right track. Plantinga takes a non-evidential approach. He thinks that it is false that the only justified beliefs are ones based on the evidence. For example, he mentions that Bertram Russell laments that it is impossible to prove that the world is older than 5 minutes. It could simply have come into being “as is” with all the same evidence. Many such beliefs, such as the reality of the external world, the existence of other minds (anti-solipsism) are simple taken to be true without evidence. That’s because alternative (unprovable) views have the same evidence (i.e. the Matrix). One is justified it believing what seems right (properly basic beliefs) until such a time as they are defeated by sufficient counter-evidence. Non-evidential beliefs cannot be proven to others. But that doesn’t make it irrational to believe them. One needs evidence to convince others, or one must simply wait until they “see the light” themselves. So it may very well be, according to Plantinga, that Christians have a non-evidential basis for faith. So as I see it, there are multiple routes to knowledge of God. Some are better than others (I’m not sure which is best). The important point is to realize that non-public evidential and non-evidential knowledge is possible. That should allow one to better respect the views of others and the possible basis for their views. Of course, when discussing, public evidence is also needed to commend one’s views to others. Sorry Ben, but saying that God intentionally hide itself and then saying that God reveals itself in everything are two diametrically opposed viewpoints. Both cannot be true. I want to know what “non-evidential knowledge” is from your perspective. I also want to know how “evidential knowledge” can be public or private. Because at this moment, and from all I’ve read, these terms are very questionable. I want to know how you understand them. All religions claim much of what you claim. They claim that their god/gods reveal itself to believers personally. Now, in that I would guess that you do not believe in other gods, I also doubt you accept those claims as true. If I am correct, why disbelieve? By your claims of non-evidential beliefs cannot be proven to others, you should accept that the beliefs of others to be just as valid as your own since they are not “irrational” to believe in. I know that Plantinga claims that accurate and valid beliefs can be based on other than evidence. However, since I know that Plantinga is a Christian, that means he also thinks he is correct in disbelieving the beliefs of other religions. How does he know he’s got the right one? The ridiculous claims about how the reality of the world being taken true without evidence are always hilarious. For you, and all of those who claim that the existence of the world is taken to be true without evidence, I would challenge you to grip a white-hot piece of iron. I think reality would crash in on you rather quickly. I note your sentence “One is justified it believing what seems right (properly basic beliefs) until such a time as they are defeated by sufficient counter-evidence.” Since I have plenty of evidence that demonstrates your god as not existing, am I justifed in it? Or is this again a play with wiggle words like “sufficient”? Which leads me to ask, Ben, what would you consider evidence that your god does not exist? You want clarification about non-evidential knowledge and private/public evidential knowledge? Gladly! (Although I may be repeating myself). Start with evidential knowledge. Public evidential knowledge is arguing from the way the external world is. This requires justified expectations of what the world would be like with and without God. I think that the world is very much like it would be if God exists. You think that a world with God would be very different. It is our expectations that differ. What is important to recognize is that my theism and your atheism will colour our expectations of God significantly. Private evidential knowledge is internal to the individual. There may be religious experience or life transformation that arguably wouldn’t have happened without God. There can be a personal encounter with God. The evidence is of an encounter with a personal spiritual being. Such evidence varies with one’s willingness to worship God, should he exist. Perhaps God would not impose his personal presence on those who would hate him for imposing. I don’t know for sure. But there are certainly personal factors involved here. Is this a placebo effect, or wishful thinking? I’ve discussed that on my blog a bit. Once again, your atheism and my theism will affect our judgment on that. Non-evidential knowledge is actually quite common. You say that it is irrational to believe in a teapot orbiting Mars (if I recall correctly). Why (I agree)? All the evidence you have available to you would be exactly the same if there were such a teapot. I presume that you take the “no-teapot belief” is more rational because it is a basic belief. You can’t (nor should you) prove it. You simply believe there’s no teapot until NASA tells you otherwise. (This comes into your discussion of possibilities I think). The same is true for many (if not most) of our beliefs. You can’t prove you’re not in “the Matrix” (you recall the film?). Why not? Because were you in the matrix, all the evidence would be the same as what you have. That includes the pain you’d feel gripping a hot iron (or getting shot for that matter!). But that doesn’t mean you entertain the possibility. When you feel pain you automatically believe that the world is real, as you suggest. You don’t reason to that conclusion (I suffer therefore I am…). You simply know it to be true in a basic non-evidential way. So I think we agree here. Plantinga’s contribution is to provide a model on which belief in God is also basic. That’s why he spends most of his time doing defensive apologetics. He takes Christian belief to be grounded in a basic way and then fends of threats from science, evil, pluralism, etc. Moser’s contribution is to recognize that evidence can be personal and therefore variable from person to person (and therefore private). These perspectives do not agree totally, but I think there’s a lot to be said for both. Just like I don’t know how quantum physics and general relativity can both coexist (maybe we will sometime soon), I think Moser and Plantinga have good things to say. Ok, so the real question is, how can my non-evidential/private evidential beliefs be justified when all other religions make similar claims? Well, my non-evidential/private evidential beliefs are not incompatible with there being other religions making similar claims. I personally know what I’ve seen and experienced even though others claim the opposite. This is especially true when I chat with Mormons. We have what may be called an “epistemic standoff”. Our basic beliefs contradict. I don’t think they are irrational for holding basic beliefs. I just happen to think that they’re wrong. This adds respect to the conversation. I don’t treat them as if they are epistemically handicapped. I just try and offer defeaters to their basic beliefs. One might argue that, perhaps the existence of other religions with basic beliefs is evidence that the cognitive process by which I form beliefs is suspect or malfunctioning. Perhaps. I think that’s the most promising criticism along these lines. I’ll put that out there for now. If you’re interested (and understand the framework I’ve described) we can talk about that next. So, “Ben, what would you consider evidence that your god does not exist?” I would gladly offer the resurrection of Jesus as a historical fact upon which my faith depends. In this sense, Christianity is testable. This testability is endorsed by St. Paul in 1 Corinthians 15. No resurrection, no Christian god. If there was no resurrection, many of my basic beliefs would be invalidated and my private evidence for God would be highly suspicious. As it stands, I think there is a good historical argument for Jesus’ divinity and resurrection, as I mentioned on the other post. My reply is longer than I’d like, but your response requires it. I hope it helps us to better understand each other. Ben, I think you would get farther without having to use meaningless terms like “justified” (at least in the context of apologists like Plantinga). One can say this sentence “This requires justified expectations of what the world would be like with and without God.” without the word “justified” and it means the same. Now, I can also say that the world is very much like it would be if no gods exist. it is not that our expectations differ, it is that you have NO evidence for a god in this world. I’d also posit that you have created a version of your god to fit in this world. This world shows no evidence of your god, and thus you have to make up a god that now hides itself. If private evidential knowledge is what you say, private experiences, then it becomes only baseless claims, anecdotes of what supposedly happened which could be fraught with misinterpretation and delusion. That is not evidence at all, and trying to redefine evidence does not help your case. I would again ask, why not accept everyone’s claims as true if such anecdotes are just as valid as facts to you? “Perhaps God would not impose his personal presence on those who would hate him for imposing.” Another excuse for your god. It has not shown such concern before if one is supposed to believe your bible’s claims. Paul is a lovely example of this unconcern. Ben, I do have a question here, have you read the bible in its entirety, front to back, cover to cover? I’m also curious which version of the bible you consider a valid one. I do say that it is irrational to believe in a teapot orbting, well, orbiting anything at all. You ask why it’s irrational and you claim, mistakenly, that all the evidence available to me would be exactly the same if there were a teapot. No, the evidence would not be exactly the same. And I don’t subscribe claims of things being “basic beliefs” something made up solely to excuse religion. It is irrational to think that there is a teapot around Mars or Zeta Reticuli because: A teapot is human in origin. We have not sent a teapot to any of these places. At the moment, there is no way for a teapot to get to any of these places without invoking magic. Since there is no magic, there will be no teapot. It’s not hard to prove the existence of a teapot in orbit at all. Blind belief has nothing to do with it. A belief in a god might be a “basic belief”, but all “basic beliefs” are only those that theists claim that “they do not depend upon justification of other beliefs, but on something outside the realm of belief”(wiki entry on basic belief). That’s quite a lovely bit of just saying “dont’ bother me with asking for evidence I can’t supply; the “something” is never defined. I’m guessing that a theist might define it as their god and then we have a great circular argument. Claimign that belief in the Christian God is a basic belief is nothing more than the baseless claim by someone who thinks they’ve won Pascal’s wager but can’t actually show it. Yes, I do believe that one of the real questions is “how can my non-evidential/private evidential beliefs be justified when all other religions make similar claims? And your response is nothing special and used by all theists. You claim that your beliefs are not incompatible with other religions making similar claims. Really? So “thou shalt have no other gods before me.” really is evidence that there are other gods? Your answer comes down to “Because I said it is.” since you have no evidence at all. Do you understand why I have no reason to believe you or others now? You all claim the same things and you all fail at producing evidence. You did get me laughing at this “I don’t think they are irrational for holding basic beliefs. I just happen to think that they’re wrong.” Oh my.So, Ben, *why* do you think they are wrong? You try to show them how their beliefs are wrong, and I’m guessing you do it by showing how their reasons, their explanations and justifications are wrong which means you are attacking their rationales. I try to show you how your beliefs are wrong and yes, the presence of many many religions, with all of the same claims and all of the same assurances that they are the only “true” religion is evidence that the cognitive processes behind religion are off. One hypothesis is that human brains are good at determining cause and effect. Primitive man came up with the idea that a cause could be a magical being that made the wind blow, the earth shake etc. And it was a false idea since it is not some magic but physics. Unfortunately, mankind has kept this idea of magical gods and keeps assigning cause to them even with no evidence. And those gods are getting shoved farther and farther into the gaps. As for JC’s resurrection beinga historical fact? No, Ben it isn’t. Not even remotely. There is nothing to support it. We have forged passages in Josephus, we have no evidence of an earthquake and sun darkening, we have Christians having no idea where JC was supposedly buried and you’d think they’d remember that as well as the actual date, etc. We have no evidence Jesus Christ, son of God at all. One would think that the Romans, in an occupied city would notice that one Jew gathered a legion’s worth of people (and more) just outside of the city. They didn’t. Ok, here goes. I think that critically examining our expectations for God (and our concept of God) is crucial. The evidence will tell us the way the world is (we occupy the same world). Whether that evidence counts for or against God depends on our expectations of God. Not any old expectations will do. Justified expectations are required. I will criticize your expectations and you are welcome to criticize mine. That, I suspect, is where progress will be made. I belief there is evidence for God. But presenting that evidence won’t help my case unless we can agree to expectations about God. You expect (based on the Bible) that God imposes his presence on people. Since you do not witness a similar imposition today, you suspect that absence of imposition is evidence of absence. This is quite right given your expectations. However, I don’t agree on your reading of the Bible. To cherry pick (gasp) an Old Testament verse “Truly you are a God who has been hiding himself, the God and Savior of Israel”(Isa 45:15). God has revealed himself selectively throughout biblical history to people carefully selected by him for his own purposes. This includes the apostle Paul. Was Paul forced to become a Christian in the Bible? I don’t think so (other Christians will disagree). He certainly was aggressively recruited! But Paul freely chose to obey. “So then, King Agrippa, I was not disobedient to the vision from heaven”(Acts 26:19). Have I read the Bible through cover to cover? Yes, twice if I’m not mistaken. It’s a lot of work (and it gets depressing at points) so I generally mix it up between OT and NT when I do regular reading. I’ve also read commentaries as part of my ongoing theology education. Which version is correct? The original ones I suppose. There are lots of great English translations. I generally trust the NIV and ESV, but there are plenty of other good translations. There’s progress to be made here. For example, the NIV 2011 has removed unnecessary gender specific language that was present in the NIV 1984. This helps to remove undue distraction from the intended meaning of the original Greek and Hebrew for a modern reader. OK, so the teapot example kind of sucked. Valid. I’m still 100 percent sure that you have properly basic beliefs. What would you say if I told you to prove to me that the world is older than 5 minutes (a la Bertram Russell)? “Well, there’s old rocks, I have memories, etc…” That would still be true if the world came into being uncaused out of nothing five minutes ago. Give me evidence! Short story, there is no decisive evidence. You need to go with your gut. It is a properly basic belief that the world is older than five minutes (or 6000 years for that matter). As such, I could goad you to give me proof or evidence that the world is old, but you would have to eventually admit that you “just know”. Regarding the Matrix point. I’m not appealing to radical skepticism towards the external world. I agree with you that if I burn myself I will belief that the world is real! I’m just saying that getting burnt isn’t evidence for that belief—the same evidence would be present in the matrix. Rather, getting burnt (feeling pain) is the grounds (or occasion) upon which the basic belief in the reality of the world is formed. Evidence vs. grounds for belief formation. That distinction helps clear things up I hope. When you argue with someone who claims to have basic beliefs, you need to offer counter-evidence if you want to change their minds. Even if I knock down all their reasons, they will quickly tell me to just “pray about it” which is an annoying (yet not necessarily incorrect) appeal to basic belief. Counter-evidence is required to discredit a belief. People won’t part with beliefs for lack of evidence (especially basic beliefs). They need to be proven wrong. Their beliefs are real to them—they are grounded in real grounds or occasions. So if I’m talking to Mormons, I’ll raise inconsistency issues. I’ll point out that they believe the Bible is true and the Book of Mormon etc are also true. Then I’ll show how these books paint radically different pictures of Jesus. They can’t both be true so there’s a problem. Their basic belief in God must be mistaken since it involves a contradiction. By recognizing that they have basic beliefs, I don’t affirm that they are correct. I just acknowledge a normal way of forming beliefs. I’d welcome a similar tactic towards engaging my beliefs if you’re interested. Basic beliefs don’t rest on any argument at all, let alone a circular one. Neither are they necessarily within one’s control (open for debate). I agree that Pascal’s wager is of limited value. Here is what I consider to be the most interesting point. Pluralism. You are correct that “have no other God’s before me” is condemns worship of any other that the God who delivered that command. However, that is completely compatible with people disobeying that command. Why think the whole world would obey it? Even more subtle is the point that one’s cognitive processes by which religious beliefs are formed may be malfunctioning or not oriented towards the truth. You give an evolutionary explanation or sorts for belief forming mechanisms. If successful, this objection doesn’t show that any given religious belief is false. It would just render them unwarranted. That is an accomplishment to be sure. But why think that your “cause and effect” inference mechanism is real? If it is real, why trust your own belief formation processes? Why think that your cognitive faculties (and not those of religious people) are oriented towards the truth with respect to the supernatural? I would point out that most people throughout have history have believed in some sort of supernatural. Where does the atheist get their objective perspective from? I haven’t really fully answered this point. If some of the other ones get resolved I’ll focus my attention on this one. God of the gaps. You suppose that all the gaps will be filled. Why? Either you point to the shrinking gaps and suggest there’s an inductive argument that they will close or you presuppose atheism and claim to know in advance that there are no gaps. If the latter, I have no reason to agree. I’m not an atheist. If the former, then it’s not proof. Evidence, perhaps, but not necessarily incompatible with the supernatural. The resurrection of Jesus. No evidence? Not possible, “not even remotely”? I’d love to take you up on that. I think there is excellent historical evidence. Once again, we must critique our expectations on the evidence. I’ll spare you WLC’s resurrection argument. There are plenty of other good ones and I think they fare better than you suggest.